Louise K. Taylor-Seibert of Norwalk, age 59, died peacefully Sunday, April 7, 2019. Visitation with the family will be 5 to 7 p.m. Thursday, April 11th at O’Leary Funeral Services in Norwalk. A Celebration of Life Service will be at 10 a.m. Friday, April 12th at Soteria Church in West Des Moines. To sign her on-line guestbook and to send flowers (using O'Leary's Flowers in Norwalk - no delivery fees) select the send tributes/flowers tab on this screen or call direct (515) 981-0700. For service times and directions select the service details tab. Memorials directed to the family to be donated toward a memorial bench in her honor, will be accepted. Louise Kay Taylor-Seibert was born on December 29, 1959, to Frank Edward and Bernadine “Bun” Mardell (Putnam) Taylor. Louise grew-up on her parent’s farm southwest of Indianola along with her two brothers and three sisters; during this time, she participated in FFA and various agricultural endeavors. She graduated from Indianola High School with the Class of 1978. Louise worked at John Deere, Farm Service, Pioneer, and Hy-Vee. For over 20 years, she drove School Bus #1 for the Norwalk School District; driving many routes and transporting students to their various activities. 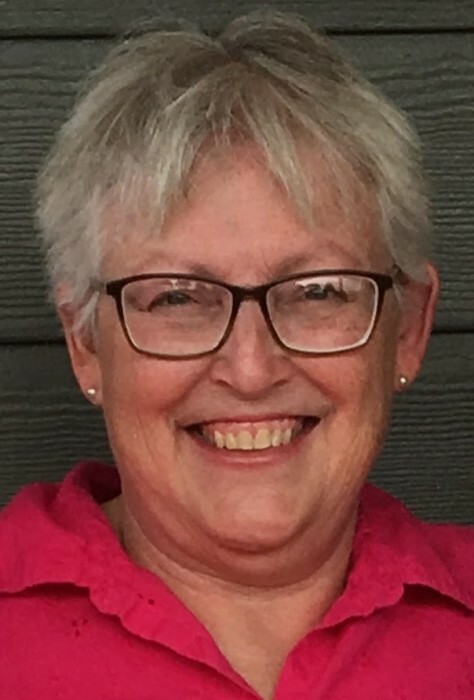 Since 2007 local area residents visiting the Norwalk Public Safety Building would have known Louise at her desk, just behind the front counter, where she helped to manage and operate the Norwalk Parks and Recreational Department. Louise met Terry Dwaine Harding while working for Norwalk. They were married on December 9, 2001 and together made their home in the Lakewood subdivision in Norwalk. Louise was a life-long follower of the Baptist Church and most recently has been attending Soteria Church in West Des Moines. Louise was a very loving daughter, wife, mother, sister and aunt. She was always very supportive of her family and enjoyed traveling around to the different sporting events and activities they were involved with. Louise never missed watching Hallmark movies, especially at Christmas time. She also had a fondness of wine tasting and like to visit the different wineries in Iowa with her daughters, sisters and nieces. Louise died peacefully Sunday morning, April 7, 2019 at Taylor House Hospice in Des Moines. She lived 59 years, 3 months, and 8 days. She was preceded in death by her father, Frank Taylor and a father-in-law, Jerry Harding. Those to honor her memory include her husband of 17 years, Terry Harding, her three children, Adam, Ashlee and Shelby Seibert; her mother, Bun Taylor of Indianola; five siblings, Howard (Deb) Taylor, Marie (Kevin) Eikenberry, Arlene (Robin) Kluesner, Joyce (Rich) White, and Lavern (Lisa) Taylor; her mother-in-law, Betty Harding; and a host of nieces, nephews, cousins, and good friends.